I have a very sporadic and idiosyncratic series in which I talk about “classic papers”, and in my idiosyncratic series Vic Engelhard’s paper on tyrosinase processing counts as a classic paper. It was one of the early indications that proteins in the ER must be degraded in the cytosol, and as such it’s one of a number of ways that antigen presentation has helped fundamental understanding of cell biology; but I think it hasn’t received as much recognition as it could have. But perhaps I should begin at the beginning. 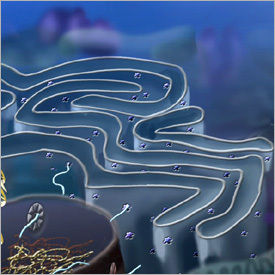 In the cytosol and nucleus, proteins are predominately degraded by proteasomes. That leaves an obvious gap. What happens to proteins that are in the endoplasmic reticulum (ER)? This is particularly relevant because the ER is a ferociously active site of protein synthesis, folding, and assembly; when any of those steps goes awry, the protein is supposed to be degraded, a process known as “quality control”. It was clear in the 1980s that proteins that failed quality control in the ER were degraded; in human cells, a well-known example was the cystic fibrosis transmembrane conductance regulator (CFTR), which folds inefficiently and is rapidly degraded2. But it was not clear where the degradation happened (in the ER? The cytosol? Somewhere else? ), and what proteases were responsible. Other membrane proteins are also known to be degraded at the ER, but the process is poorly understood, and the responsible enzymes have not been identified. For example, some of these proteolytic events are ATP dependent, but some are not; some occur within the lumen while others take place on the cytoplasmic side; some exhibit inhibitor sensitivities characteristic of serine proteases, whereas others do not. Proteins targeted into the ER by signal sequences can also be presented on MHC I molecules. 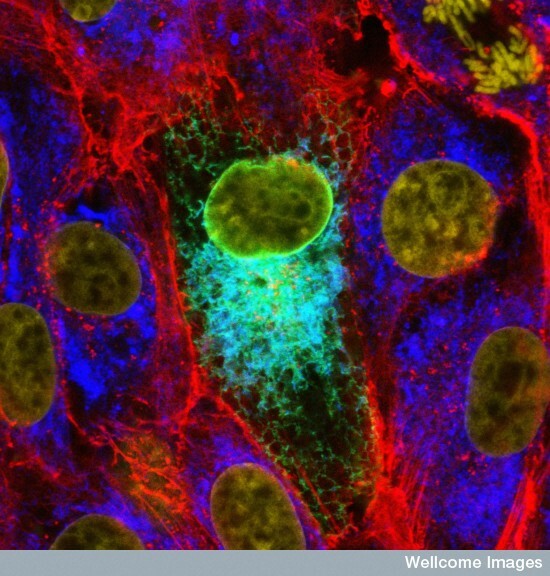 Since these molecules are cotranslationally transported into the endoplasmic reticulum, they might be expected to bypass hydrolysis in the cytosol. However, where analyzed, the presentation of most of these antigens is dependent on the TAP-transporter and on proteasome activity, and therefore the presented peptides are probably being generated in the cytosol. The three obvious possible explanations were that either the putative glycoprotein never made it into the ER and was degraded as a mistargeted protein (Jon Yewdell would call that a “DRiP”; I can’t remember exactly when I heard him propose that first, but it was around that time); that the glycoprotein went in to the ER, got degraded there, and the peptides were first transfered to the cytosol; or that the glycoprotein was transfered from the ER to the cytosol and degraded there. The simplest explanation, at the time, seemed to be the first one –Â proteins never made it in to the ER, and were degraded in the cytosol. However, it wasn’t an explanation that we liked very much, for various reasons. Vic Engelhard’s paper (Remember Engelhard’s paper? This here’s a post about Engelhard’s paper) cleared that question up, at least for one epitope. Skipper, J. C., Hendrickson, R. C., Gulden, P. H., Brichard, V., Van Pel, A., Chen, Y., Shabanowitz, J., Wolfel, T., Slingluff, C. L., Jr., Boon, T., Hunt, D. F., and Engelhard, V. H. (1996). An HLA-A2-restricted tyrosinase antigen on melanoma cells results from posttranslational modification and suggests a novel pathway for processing of membrane proteins. J. Exp. Med. 183, 527-534.
yet the peptide itself was probably generated in the cytosol, because enzymes that modified it are mainly found in the cytosol. The most surprising and exciting part was the second point: Clear evidence that the protein had actually gone into the ER before the peptide was generated. 5 This wasn’t by any means definitive proof that ER proteins are degraded in the cytosol (a follow-up paper in 19986 took it a bit further) but it certainly was suggestive. Though Engelhard’s 1996 paper is reasonably widely cited (256 citations as I write this) it clearly didn’t have the impact on cell biology in general that it did on me, probably because it came out around the same time as a bunch of more specific papers. This blogpost is an attempt to give a bit more retroactive credit to a very nice example of logical reasoning from indirect evidence. (Sommer T, Jentsch S (September 9, 1993) A protein translocation defect linked to ubiquitin conjugation at the endoplasmic reticulum. Nature 365.:176-9. Hampton RY, Gardner RG, Rine J (December 1996) Role of 26S proteasome and HRD genes in the degradation of 3-hydroxy-3-methylglutaryl-CoA reductase, an integral endoplasmic reticulum membrane protein. Mol Biol Cell 7.:2029-44. 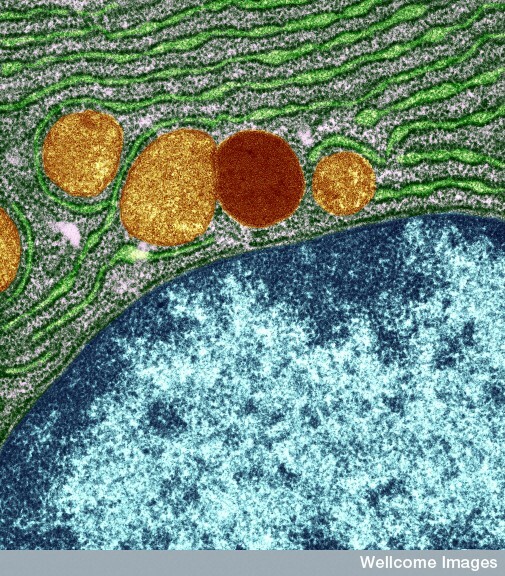 Werner ED, Brodsky JL, McCracken AA (November 26, 1996) Proteasome-dependent endoplasmic reticulum-associated protein degradation: an unconventional route to a familiar fate. Proc Natl Acad Sci U S A 93.:13797-801. Hiller MM, Finger A, Schweiger M, Wolf DH (September 20, 1996) ER degradation of a misfolded luminal protein by the cytosolic ubiquitin-proteasome pathway. Science 273.:1725-8. Qu D, Teckman JH, Omura S, Perlmutter DH (September 13, 1996) Degradation of a mutant secretory protein, alpha1-antitrypsin Z, in the endoplasmic reticulum requires proteasome activity. J Biol Chem 271.:22791-5.